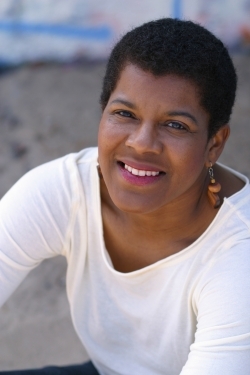 Tananarive Due is an American author and educator. After completing her first novel in 1995, she has since continued to produce fiction in the speculative, horror, mystery, and historical genres all while forging a career in filmmaking and screenwriting. She is the author of multiple series and standalone novels along with one civil rights memoir, the winner of the American Book Award, the New Voice in Literature Award, the NAACP Image Award for Outstanding Literature, and the Carl Brandon Kindred Award. Recently an endowed chair at Spelman College, Due continues her work as a social activist and a teacher beyond the classroom. 1) What draws you, as a reader and writer of speculative fiction, to speculative fiction? How is it unique among other genres of literature? My introduction to “speculative fiction” was mostly in the horror genre, especially as a teenage reader, though I was writing my version of space operas and kids stowing away on space ships when I was in about fourth grade. I think almost all children are fascinated by space, aliens, and the idea of space travel, but I initially outgrew my attraction to science fiction and began to more toward horror. As for what appeals to me: I really attribute my love of horror to a hyper awareness of my mortality from a young age. I remember sharing a bedroom with my great-grandmother during a family visit. She had emphysema and was using an oxygen tank, and I was nervous all night that she would stop breathing. That grew to a more general understanding that although I was very young, I would be much older like her one day. I tried to wrap my mind around it: I was going to die one day. That is the puzzle I have been playing with, in some ways, ever since. Writing horror and supernatural stories helps me create metaphors (i.e. demons) to process my real-life fears. 2) Do you find that we generally stress the lines between literary fields too much, or can there be a difference between distinction and division? Ha! Well put. A lot of authors tend to see those categories as division, especially since there traditionally has been bias against genre writers in MFA programs, for example—though that is beginning to change, I think, because of the financial benefits of embracing genre writers. The conversation came up a great deal among black authors—”Why is there a black section”—but I recently saw an interview from a major library, I believe, where they said far fewer black books were checked out when they weren’t in a specific section. We get lost in the ocean, so to speak. So I have come to see categories as a necessary evil—useful to a point, but not to be mistaken for a stone tablet in terms of who we are as writers and readers. 3) I won’t ask you to choose between reading and writing . . . but what about writing and teaching? After your time as an Endowed Chair at Spelman College, how would you say having students in the classroom (reading and writing alongside you) changed your interaction with literature in general and speculative fiction in particular? It’s interesting: I’d always assumed that so many writers believed teaching interfered with their writing simply because of the work of teaching, which can be very time-consuming. But now that I have been doing more teaching, I realize that another reason teaching can interfere is that I can also touch a kind of “flow” when I’m teaching, or when I’m reading the student works, which really can seep away some of the urgency writers generally feel that drives them to obsessively carve out time for their own work. Admittedly, I have not made major progress on a new novel since I have been teaching—the ones I’ve published were all under contract before I began teaching at Spelman, for example. But teaching enabled me to stop relying on writing to make a living, so I have instead concentrated on short fiction, film/TV treatments and screenplays. The short fiction has been useful in keeping my name “fresh,” since several readers are discovering me for the first time through my short fiction (!!!). The film/TV treatments are part of my quest to transition from the page to the screen, which is roughly akin to packing up a wagon to try to cross the country to California, braving elements and attacks along the away. I can’t control the amount of success I find in television and film writing, but I do have a goal to be a very, very good screenwriter. So I’m taking some time to practice that now. And I do have another novel idea I have been allowing to stew . . . and I think it’s time to start stirring that pot more too. Spelman was life-changing for me on so many levels: the amount of enthusiasm for speculative fiction among the faculty was very exciting, and I felt a sense of helping to build a growing movement. And the students were also electrified by Octavia’s work, so it was exciting to watch the light bulb go off as students shed their old concepts of what they could be as writers and ventured into new territory. Literature is always more dynamic when it’s shared with others, like finding family. 4) Of course I must ask if you have a favorite work of Butler’s, but I also want to know if you have a favorite book of yours? When did that book become your favorite; during the writing of it, the later re-reading, or after receiving responses from readers? My favorite book of Butler’s is KINDRED, mostly because I was raised by civil rights activists with a deep sense of history, and it answered so many questions for me I didn’t know I was asking. I especially love the moral ambiguity of some of the protagonist’s decisions throughout the story, so it isn’t simply a “slavery is bad” story, but also a “wow, humans are complicated” story—which helps explain why slavery was so bad. As for my own work, there might have been a time I would have said that MY SOUL TO KEEP was my favorite novel, since it spawned three sequels—and perhaps my immortal, Dawit, is my favorite character (or his daughter, Fana). I also appreciate JOPLIN’S GHOST for the way it forced me to grow as a researcher and writer. But the Hollywood process is beginning to color my perceptions of THE GOOD HOUSE, which I believe is my scariest book, and the pure adaptability of it has really made me appreciate the richness of that story. Whether I visualize it as a theatrical film, TV film, mini-series or traditional series, each time I pluck out and rearrange the elements of that story, it still holds up as very scary and the emotional journey remains intact. And Angela, the protagonist, is emerging as my favorite female character. 5) You do a lot of collaborative writing. The OEB Society exists to enable and ignite collaborative reading. How do you find that collaboration changes the end product, whether that product is a book or anything else? Collaboration is fascinating because it can be so unnatural to writers—and it’s definitely not for everyone. My primary advice is that writers should not collaborate unless they MUST to tell the story. If I can write something alone, I’d rather write it alone. But sometimes an idea comes as a hybrid, drawing inspiration from more than one person, and that’s the time to collaborate. I recently re-read a speculative TV pilot my husband, Steven Barnes, and I wrote for a series version of THE GOOD HOUSE, and I found myself chuckling at dialogue he’d added. That’s the great thing—there are little surprises hidden throughout in collaboration in a way I can’t recreate in solo work. And I have learned to curb my natural desire to be faithful to, say, my own dialogue and accept a different sensibility that adds a new dimension to the writing. But again, collaboration is delicate. It’s useful for one person on the team to have the final vote. 6) I know that you and your husband, fellow writer Steven Barnes, knew Octavia Butler personally. What would she say about the relevance and/or importance of forums like this one, where the conversations about literature are as important as original literature itself? I think Octavia would be slightly bemused but mostly humbled at the degree to which her literature has found footing in our culture. When I was planning Spelman’s Octavia E. Butler Celebration of Arts & Activism in the spring of 2014, Steve pointed out to me that Octavia was not an “activist” in the traditional sense. But at the same time, her fiction has helped spark an activist sensibility in some readers, and her work is a large part of the fascination with Afrofuturism that has helped spark a genuine cultural movement. As an artist, you can only sit back and watch while the spark you lit with your work turns into a fire. In many ways, an artist’s work is not about what we think it’s about—its only real meaning is the meaning to the readers. 7) Lastly, you are featured in a new anthology entitled Octavia’s Brood: Science Fiction From Social Justice Movements. Would you tell us a little about how you chose to become involved with that project? I was approached by Adrienne Maree Brown and Walidah Imarisha some time ago, and as the child of civil rights activists, I was thrilled to see this new lens through which Octavia’s work and impact could be viewed. While Octavia was a “writer’s writer,” very close to a hermit in some ways, anyone who studies her work can see that she wanted to create a better world. Some of us create a better world through art, some through activism, some with a combination. This anthology shows the relationship between art and societal change. Interested in learning more about Tananarive Due’s work? Visit her website, www.tananarivedue.com , and once there make sure you check out the Stephen Barnes and Tananarive Due film collaboration Danger Word. Interested in sharing your thoughts on science fiction in general and Octavia in particular? Come be a part of the conversation! Contact oebliterarysociety@gmail.com to volunteer an interview for posting on our website! Critical Reading is a Heroic Act . . .
MARLEEN S. BARR is known for her pioneering work in feminist science fiction and teaches at the City University of New York. She has won the Science Fiction Research Association Pilgrim Award for lifetime achievement in science fiction criticism. Barr is the author of Alien to Femininity: Speculative Fiction and Feminist Theory, Lost in Space: Probing Feminist Science Fiction and Beyond, Feminist Fabulation: Space/Postmodern Fiction and Genre Fission: A New Discourse Practice for Cultural Studies. Barr has edited many anthologies and co-edited the special science fiction issue of PMLA. 1. When did you first fall in love with science fiction? Was there a specific work and if so, what was it? Since you are asking me about “first” love, I have to buckle up in the way back machine. When I was a child in the ‘50’s, I was obsessed with a Saturday morning television cartoon called MIGHTY MOUSE. Mighty Mouse was a superhero mouse who flew around in a cape and triumphed over cats. Although I really do not know why, I was absolutely in love with him. My favorite toy was a Mighty Mouse doll. I also watched the original SUPERMAN television show. Two novels mesmerized me: THE WONDERFUL FLIGHT TO THE MUSHROOM PLANET by Eleanor Cameron (1954) and A WRINKLE IN TIME by Madeleine L’Engle (1962). I still remember being a little kid who fell in love with the great illustrations of big extraterrestrial mushrooms in Cameron’s children’s science fiction novel. 2. When did you first fall in love with Butler’s fiction? Was there a specific work? If so, what was it, and does it remain your favorite to this day? Why or why not? I was blown away by KINDRED when I was a young Assistant Professor and fledgling science fiction scholar during the early 80’s. Yes, KINDRED is still my favorite Butler novel. Butler’s portrayal of a young woman who can time travel to a plantation and meet her enslaved (and slave owning) ancestors is startling. The premise at once calls for understanding the horrific past and its impact upon the present. I am drawn to engaging with past atrocity in order to arrive at clarity of vision in relation to the atrocity. For example, in 1983, I embarked alone upon a Fulbright to Germany. I went to Dachau almost immediately after arriving. When it started to rain, I took shelter in a small brick building which contained an oven. (It was never used; Dachau was not an extermination camp.) I was wet and cold and standing in the doorway of the building. I watched people’s expressions as they first saw the oven. I think this is my real-life version of Butler’s protagonist Dana seeing the Maryland plantation depicted in Kindred. 3. When did you first realize that science fiction featured some problematic representations of women and womanhood? Though this problem clearly plagues all literature, across all of the genre lines, is there any more or particular danger in propagating misogynist (or for that matter, racist) ideologies within the pages of science fiction as opposed to doing so within any other type of literature? My undergraduate years ensued during the early 70’s and coincided with the advent of Women’s Studies courses. My experience in Women’s Studies 101 made it patently clear to me that the problematic representations of women appeared in women’s realistic literature, not in science fiction. More specifically, when I was a freshman, my feminist professor assigned Kate Chopin’s The AWAKENING and Sylvia Plath’s THE BELL JAR. I was repelled by the fact that the female protagonists in these novels ended up dead. I very purposefully turned to feminist science fiction to escape from realistic feminist literature’s dead women. I lauded feminist science fiction as an escape hatch [—a type of] power fantasy. I was never concerned with misogynist and racist science fiction because I was too busy trying to identify and read feminist science fiction. 4. You’re an expert and a pioneer in your field, helping to break the ground on feminist and Africanist readings of science fiction. Please tell us what it means to provide a feminist or Africanist reading of literature, what that means to you, and how that definition may have changed (or stayed the same) for you throughout your career. Being a feminist or an Africanist reader should include everyone regardless of gender or race. This reading practice to my mind entails respecting literature written by women and blacks and calling attention to it with an eye toward improving the world. My early years as a professional scholar coincided with the inception of feminist theory. Due to my lifelong love for science fiction, it was natural for me immediately to turn to feminist science fiction’s cognitive estrangement (Darko Suvin’s term) from patriarchy. After spending years writing about feminist science fiction and arguing for its validity, I woke up one day and saw that there was an enormous change at the last minute: the preponderance of the science fiction community did respect women writers. But around 2000 or so I noticed that the state of Africanist science fiction was the same as feminist science fiction “back in the day” when it first interested me. Africanist science fiction was about to burgeon and it needed scholarly attention. But most Africanist scholars did not know about science fiction and most science fiction scholars did not know about Africanist literature. As a feminist scholar, I was familiar with Africanist literature. So, I jumped in to fill the void; I edited AFRO-FUTURE FEMALES. I perhaps acted in terms of the MIGHTY MOUSE theme song: “Here I come to save the day. That means that Mighty Mouse is on the way.” I am trying to say that first feminist science fiction needed a scholar and, years later, Africanist science fiction needed a scholar. I wanted to save the day and be on the way to filling this need. 5. In the Afterword of AFRO-FUTURE FEMALES (2008) You write that [Octavia E.] Butler is a descendant of Mark Twain (AFF, 247). Mark Twain’s writing consciously wields satire to critique society and, by extension, the readers who make up that society. Do you see Butler as using any one particular tool to analyze social flaws and question reader’s innate biases in the same way? What can science fiction as a whole, and Butler’s writing in particular, teach us about the lives we lead outside of academia? Both A CONNECTICUT YANKEE IN KING ARTHUR’S COURT and KINDRED are science fiction time travel novels. I coined the term “textism” to explain that bias against texts functions like racism and sexism. Textism entails denial. This denial in terms of science fiction functions by defining science fiction as sub-literary and denying that great literature is science fiction. CONNECTICUT YANKEE is not commonly described as science fiction; but it definitely is. Ditto for THE TEMPEST; magic is not [scientific] fact. Great writers such as Kurt Vonnegut and Margaret Atwood have severed their connections to science fiction. Textist responses to science fiction sever connections. That is why I wanted to connect Butler to Twain. CONNECTICUT YANKEE counters Europe’s condescending attitude toward American culture by placing an American in medieval England and enabling him to Americanize the English community. KINDRED counters hegemonic patriarchy’s condescending attitude toward black women by placing a contemporary black woman within a plantation and enabling her to describe her experience in terms of her eyewitness subjectivity. Hence, Twain and Butler both use time travel to counter innate cultural biases—and defining both of these novels as science fiction counters textism. Butler’s science fiction in particular teaches us that blacks are not aliens in relation to America. I have to answer the “science fiction as a whole” part personally. When I was a freshman sitting in Women’s Studies 101, the world was just realizing that women have orgasms. Popular magazines contained articles with titles such as “Why Women Should Demand To Have Five Million Multiple Orgasms Immediately If Not Sooner.” (You asked for “outside academia”; orgasms are located in a galaxy far, far away from academia!) I read these articles and became very anxious. I said O.M.G.—or some early 70’s version of the term—okay I am seventeen and I am being told that women have orgasms. But what if I were ninety and I had to live my entire life without this information? I worried about information I needed to know and didn’t know. I turned to feminist science fiction’s cognitive estrangement from patriarchy to provide answers. I saw positive blueprints for living future female lives. I learned that a husband is not a super hero who swoops into your life while announcing “here I come to save the day.” I was so in love with feminist science fiction that I did not get married until I was forty-six. I married an alien—for true. But that is another story (told in my novel OY FEMINIST PLANETS: A FAKE MEMOIR which comes out in July). 6. Part of the reason we do what we do, as academics and as lovers of literature, is in the hope of spreading that love for learning, analysis, and imagination to the next generation. What work (or works) of science fiction would you recommend to young people just beginning their love affair with fiction? I suggest the daughters of Octavia E. Butler: K. Tempest Bradford, Tananarive Due, Jewelle Gomez, Andrea Hairston, Nalo Hopkinson, N.K. Jemisen, Alaya Dawn Johnson, Nnedi Okorafor, Nisi Shawl, and Sheree Renee Thomas. With a shout out to the fact that Samuel R. Delany is this year’s Science Fiction Grandmaster, young people just beginning your love affair with fiction here I come to save the day with this news: O.M.G., these writers are awesome!! Inspired by Dr. Barr’s experience with Octavia? Read more about her research at: http://www.sf-encyclopedia.com/entry/barr_marleen_s and https://ohiostatepress.org/index.htm?books/book pages/barr afro-future.html. Be sure to check out her article “Oy/Octavia: Or Keeping My Promise to Ms. Butler ” published in CALLALOO, 32(Fall 2009).Interested in sharing your thoughts on science fiction in general and Octavia in particular? Come be a part of the conversation! Contact oebliterarysociety@gmail.com to volunteer an interview for posting on our website!